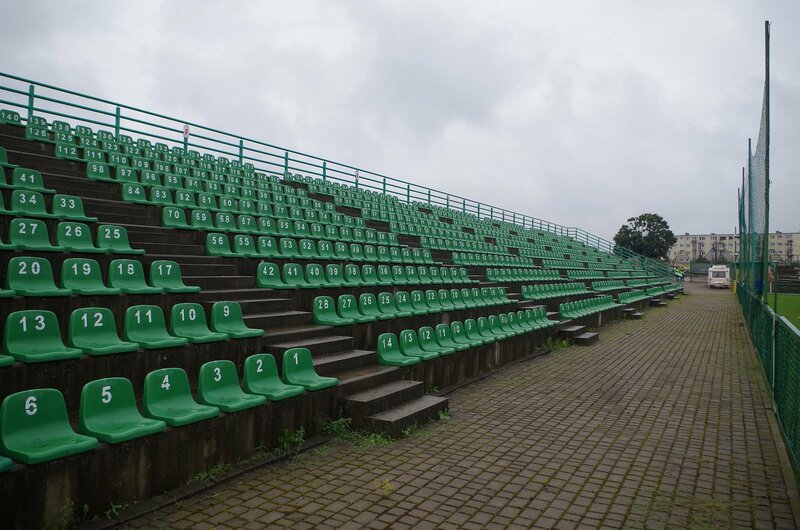 As late as early 2000s this stadium was merely a football field with no actual grandstands. 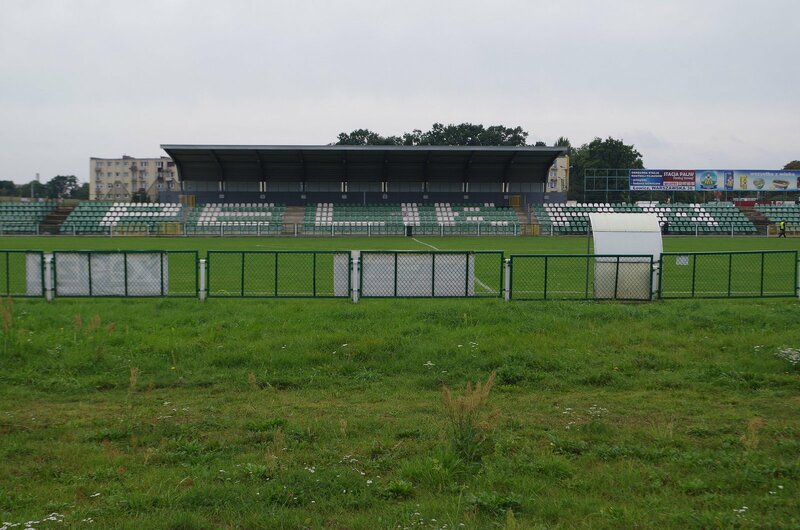 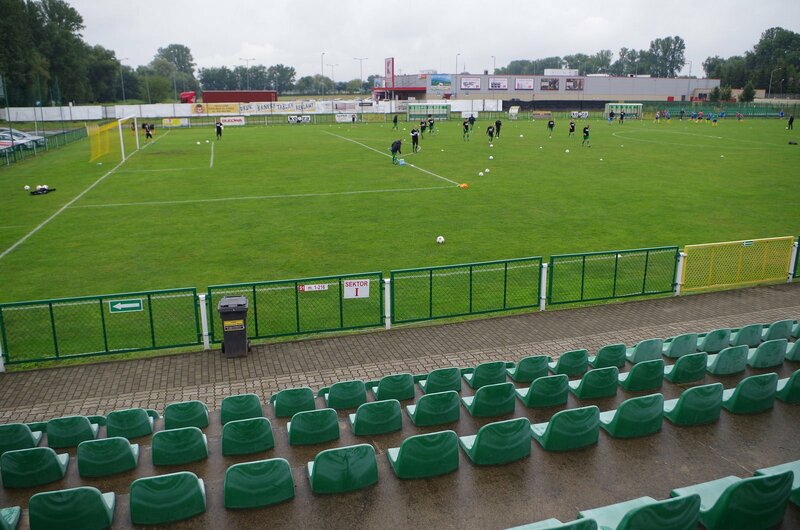 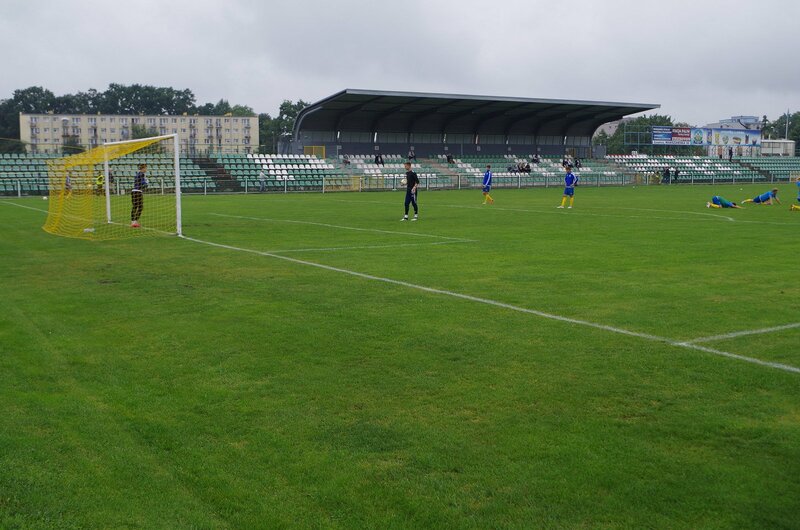 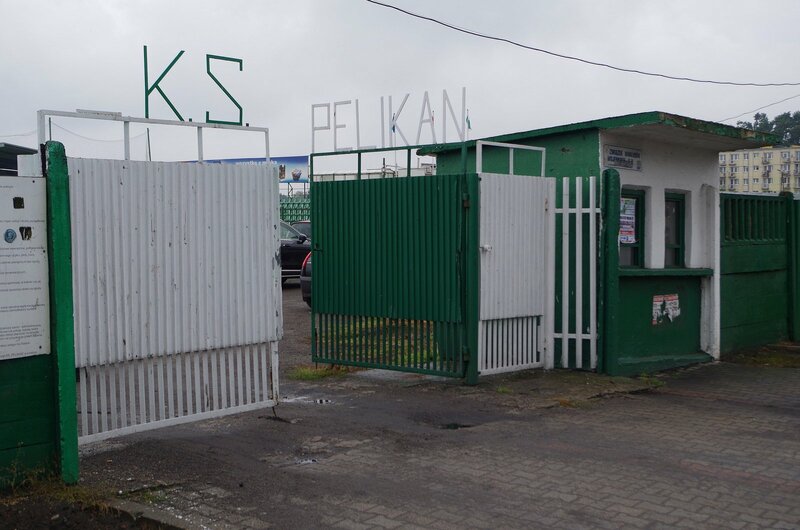 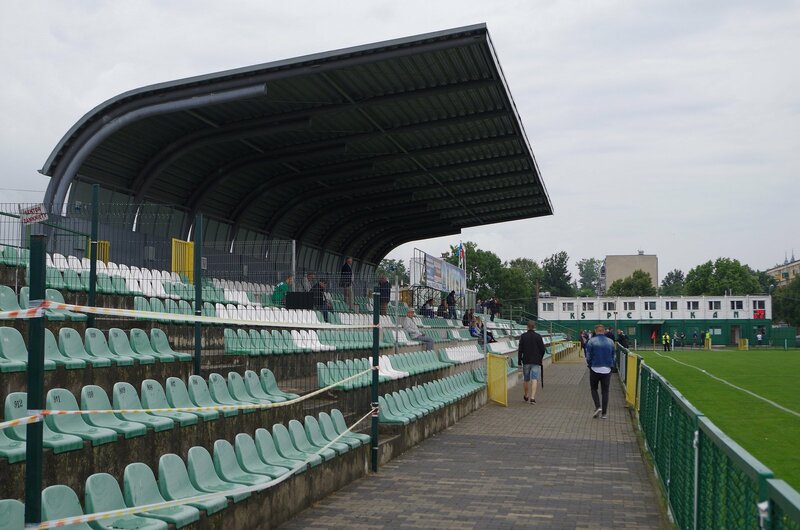 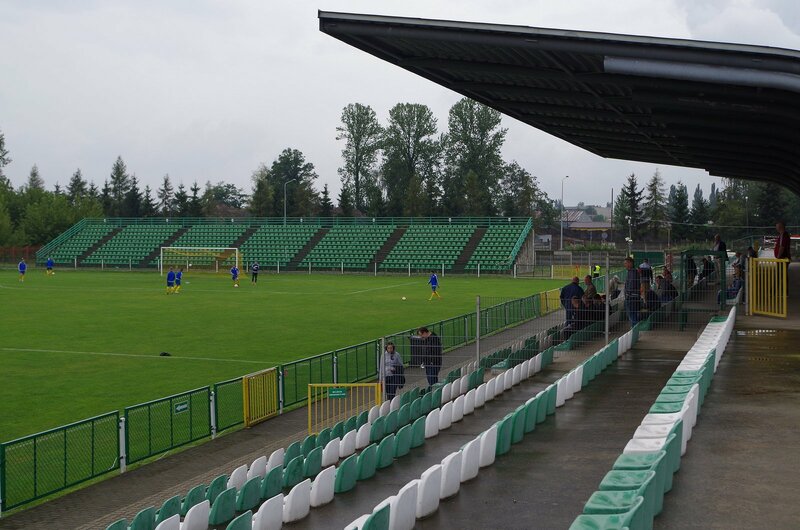 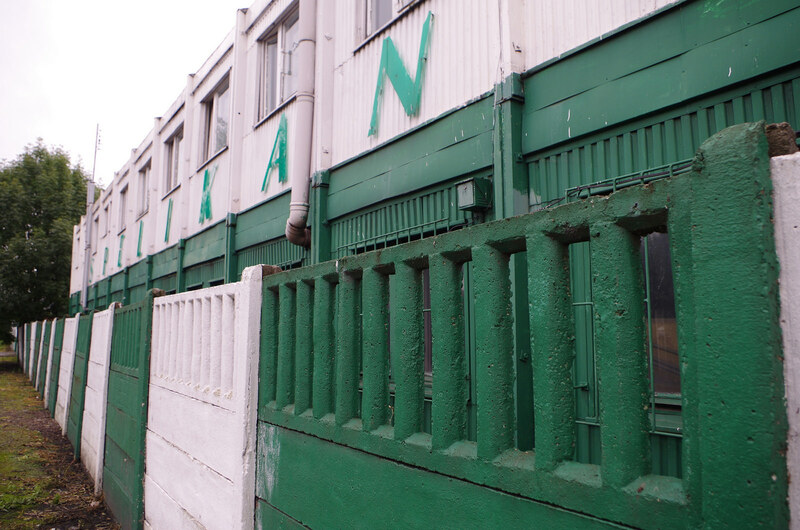 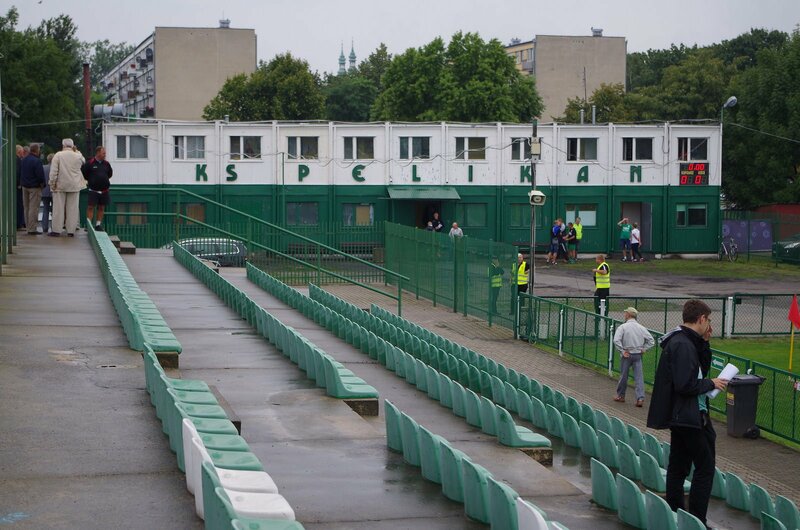 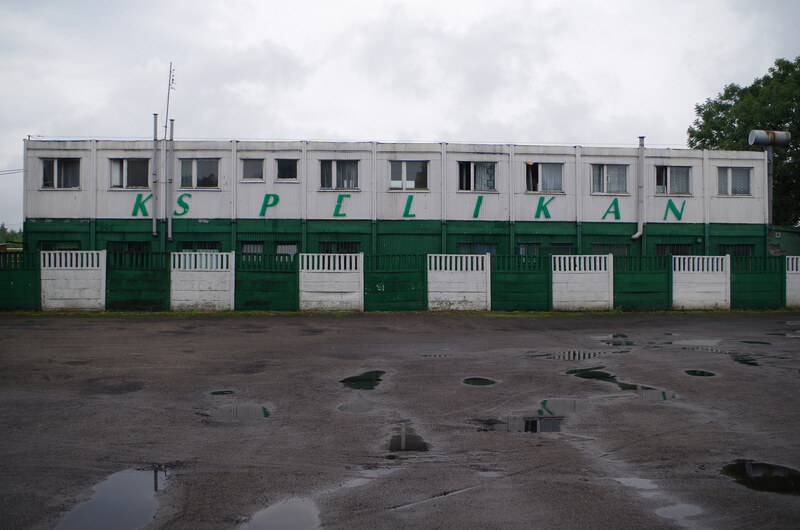 The situation began changing as the municipality began investing, in reaction to the rise of football club Pelikan. 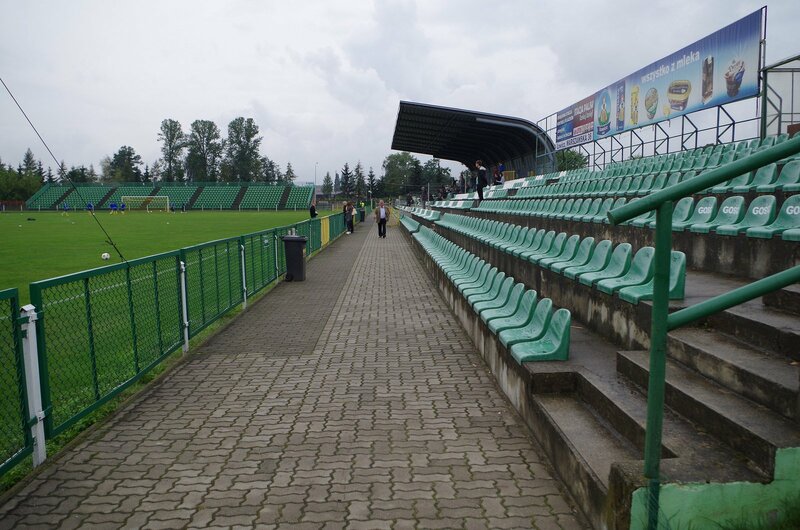 Bit by bit the stadium was upgraded, receiving first the western main grandstand (2005) and then the southern smaller one for 860 people (2008). 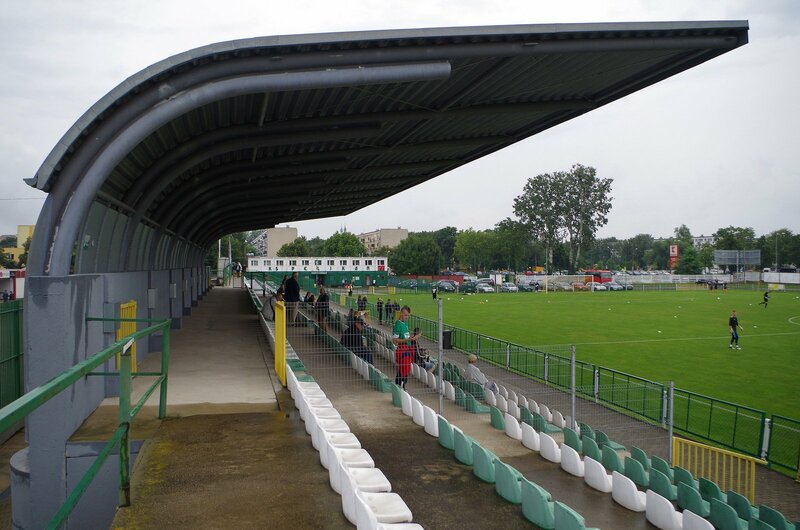 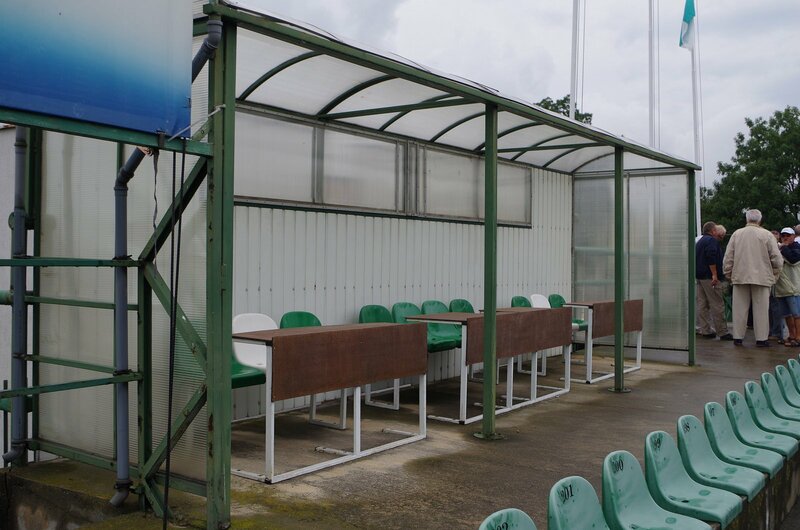 By 2012 part of the main stand was covered. 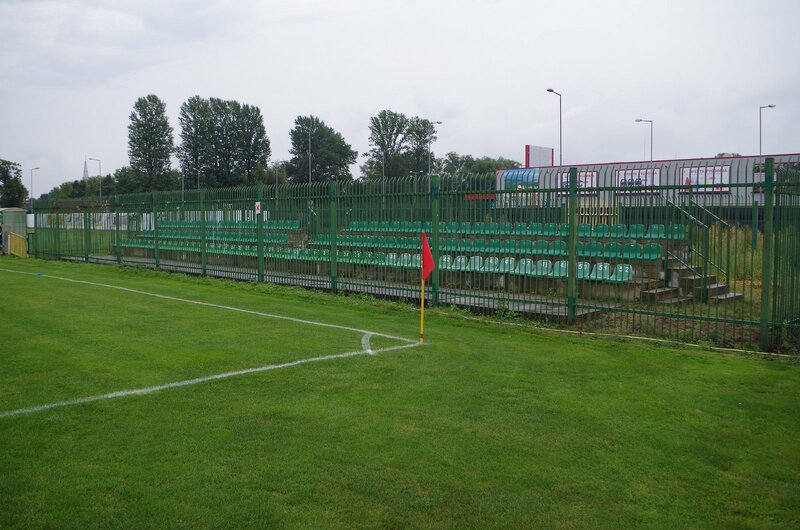 The east side of the field only holds the away section, while club offices and parking are located in the north.